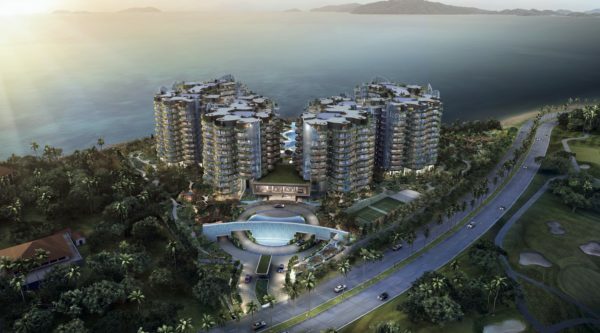 Located within Sutera Harbour Resort in Kota Kinabalu, the 99-year-leasehold Coral Bay condominiums will offer 460 units across eight, 12-storey blocks. The property’s unique position means residents either have vistas of the South China Sea or Kota Kinabalu’s lush, mountainous slopes. In fact, for the latter, homeowners can also enjoy the greenery of Sutera Harbour Resort’s golf course. For Chinese people, to have a home situated between the sea and mountain is good fengshui. 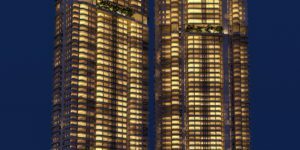 As such, the project has witnessed over subscription of its “private preview” units totalling a value of more than RM300 million. This gated community means there’s integrated security for peace of mind. Moreover, Coral Bay is in Kota Kinabalu’s city centre where lifestyle malls, restaurants, international schools and private medical centres are a stone’s throw away. However, many would-be owners are anticipating an indulgent life to take in the sea-front views after a hard day’s work or partake in a wide range of amenities and nearby activities during the weekends. Coral Bay’s typical two-to-four bedroom apartments range from 1,500 sq ft to 3,500 sq ft. A unique feature is its dual-key apartments that range from 2,000 sq ft to 5,000 sq ft while sizes of its penthouses range from 3,500 sq ft to 9,000 sq ft. These well-appointed units will ensure work, rest and play scenarios can always be enjoyed. 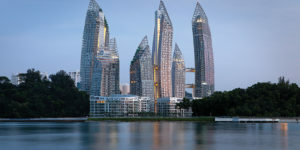 GSH Corporation’s Executive Chairman Mr Sam Goi enthused, “Coral Bay is our second residential project in Malaysia, after the highly successful launch of our Eaton Residences project in the heart of Kuala Lumpur’s city centre in 2016 which won two awards for, “Best Luxury High-Rise Development” and “Best International Development” by iProperty.com. We are particularly excited about out latest Coral Bay project because of its very unique location, the ocean and mountain vistas”. In an exclusive media event held at Kota Kinabalu, Palace magazine (PM) speaks to GSH’s Chief Executive Officer Gilbert Ee (GE) about what makes this property so special. PM: Why did you choose this project to be in Kota Kinabalu? GE: Kota Kinabalu is one of the fastest growing cities in Southeast Asia that is also experiencing a tourism boom, thanks to its natural at- tractions such as the marine parks, pristine beaches and Southeast Asia’s tallest mountain, Mount Kinabalu. We envisage that Coral Bay will be at- tractive to owner-occupiers, investors and vacationers. The geographical merits of this luxury, gated community condominium was hard to say no. PM: Will there be any challenges when constructing this project? GE: No. We brought in a strong team of consultants which can deliv- er the expertise necessary to build a luxury project. This project will be built for earthquake resistance and it will be the first seafront project to have that certification. PM: How will GSH remain relevant and competitive in this industry? GE: We’re still traditional as a company when it comes to delivering something unique and different – design ideas or location selection. PM: What’s your marketing reach and the importance of social media? 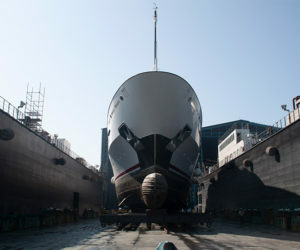 GE: Now, we don’t have a lot of projects to market. It is not yet as critical as of now. However, we do have some large projects coming up, perhaps we can explore then. PM: What’s your opinion on the Malaysian property market? GE: Markets have their cycles. We feel that there are better points in the cycle. If you’re clear about what you want to do, you can still go to the market and be successful. Eaton Residences was launched at a bad time of oversupply, still, the project did well. Design something unique and of good value and that’s how you can attract buyers. PM: What kind of demographic will buy your project? GE: I think these are homes that are suitable for people who like the seaside lifestyle. The larger ones can be the trophy homes. They can also be second homes for some individuals. We have a lot of people from the People’s Republic of China visiting Kota Kinabalu and they enjoy the lifestyle here. 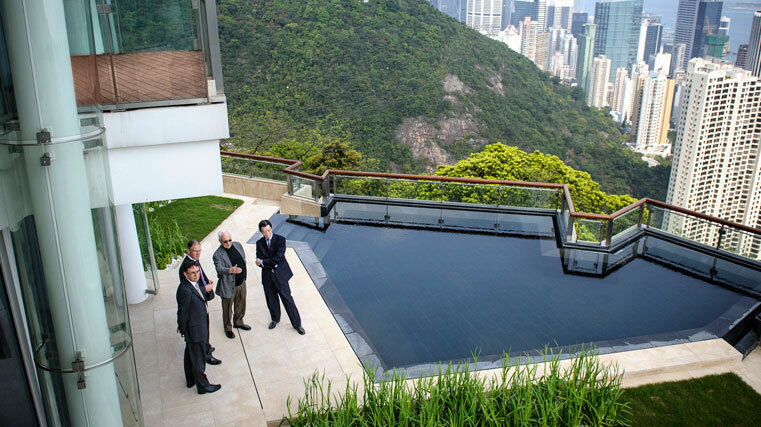 Our project has definitely caught their attention because it is an attractive place to live. PM: What kind of people will you attract for the local market? GE: It’s for those who want a home by the water. For locals, our project will be attractive to those who enjoy the seascapes and yet be centrally located in the heart of the city. PM: Tell us about the design language of this project. GE: Swan & Maclaren has been with us developing our flagship commercial building, GSH Plaza, in Singapore. They are the same people behind Eaton Residences in Kuala Lumpur. For Coral Bay, we will have roof gardens and well-manicured gardens on the first floor. 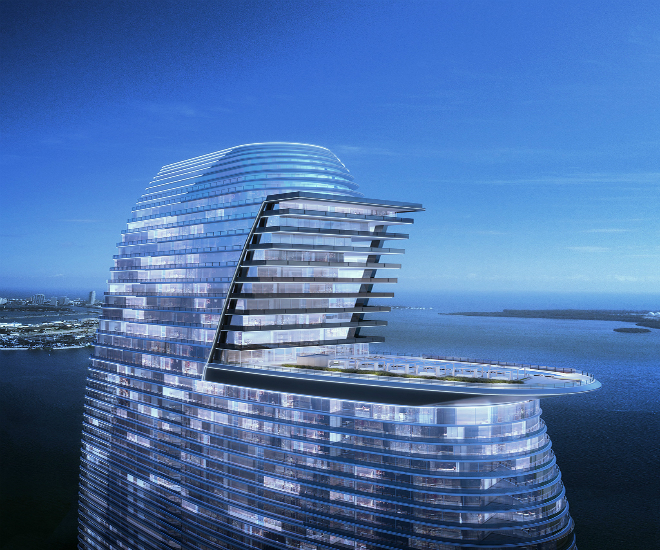 In terms of the infinity pool, it will be created such that the edges “visually” merge with the sea. We engaged a renowned Thai landscape expert to create verdant 68-metre cascading waterfalls creating an awe-inspiring arrival. 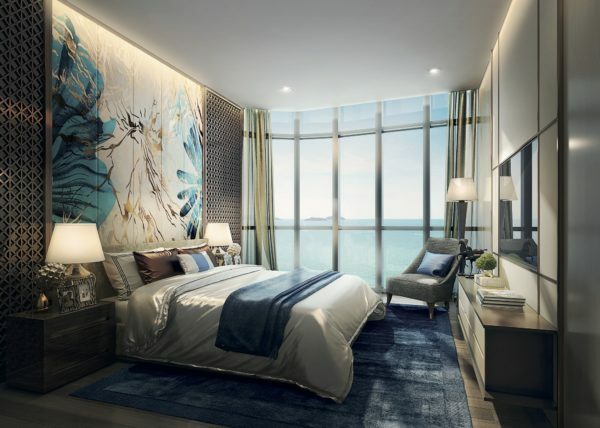 The project will have many water features, pools and lush landscaping that meet azure seascapes. 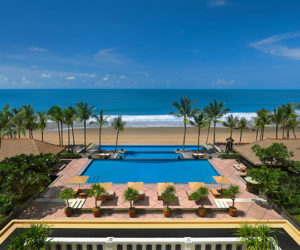 The luxury development is one of the few in the world that boasts a stretch of soft-sand private beach, approximately 100 metres in length, at its doorstep. PM: How do you foresee GSH in the next five years? GE: At this juncture, we will stay focused in good design and good quality products for our homes with a good build, so we can always attract the right homeowners.